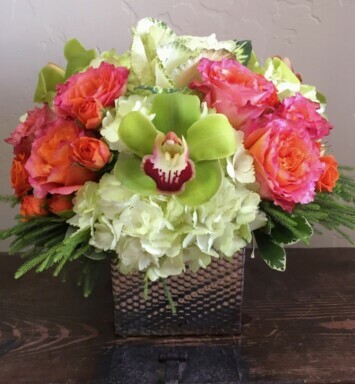 A life-affirming gift of faith and hope is always appreciated in a family’s darkest hours. 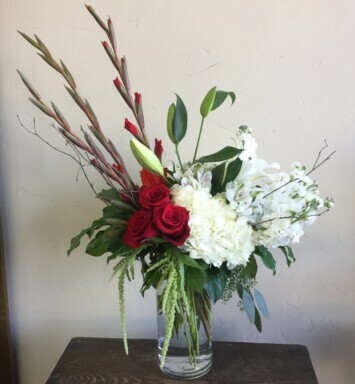 This elegant cross delivers that message in a way that will touch many hearts. 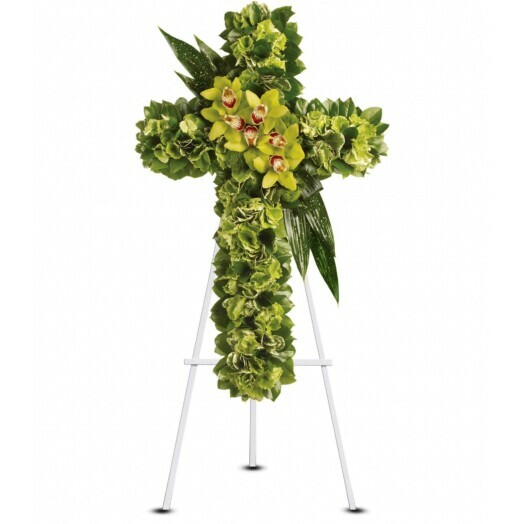 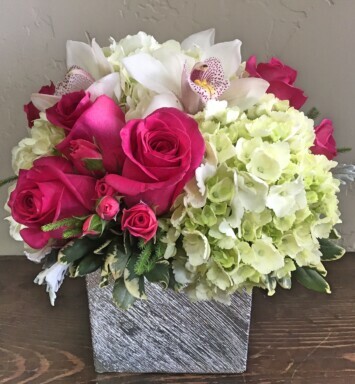 Green hydrangea along with a dazzling mix of exotic green flowers and leaves create a beautiful and textured cross, delivered on an easel.